Open and spacious rustic log cabin rentals that can accommodate up to 26 people! A great way to save money and spend some time with your fellow travelers is by staying in a four-bedroom cabin in Branson. These large units are perfect for bigger families or friends traveling together. Cabin rentals of this size are usually about 2,000 – 2,500 square feet in size, providing you with ample room to spread out and offering enough space and privacy for everyone who might be staying. As large cabins like these (usually sleeping 10 people or more) are highly requested, their availability is limited and advance reservations are strongly encouraged. Whether you’re looking for a spot for your next family reunion or simply need a large place to accommodate a number of people, nothing is quite as relaxing and enjoyable as these upscale units. Can’t seem to find the cabin you’re looking for on this page? Check out our Branson cabins page, or view the 1 bedroom, 2 bedroom, or 3 bedroom cabins available. If you’re traveling with a large number of people, then one of Branson’s four bedroom cabins would make a great choice for your next stay in the area! Whether it’s family, friends, or any type of group – these units can typically accommodate up to 10 people comfortably. You’ll find that most offer 4 master bathrooms (and master baths) and come equipped with a pull-out sleeper sofa in the living room. 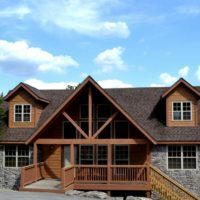 For the perfect retreat for many people – check out these large, beautiful cabins – and you can rest assured knowing that your stay will be memorable and enjoyable! 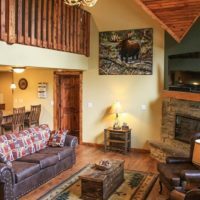 Interested in a Branson Cabin? Book your stay now for best availability and savings before it’s too late!